We hold expertise in designing and fabricating a resilient assortment of dosing systems that stand high in terms of quality. Adhering to the latest technology and industry accepted standards of quality, these dosing systems are widely appreciated by our clients spread across the globe. Our range includes reaction tanks, ribbon blenders, blending system, vacuum pans, steel vacuum pans, jacketed tanks and chemical dosing systems. Single Pump Injection System offeredbelong to self-priming centrifugal oil pump category and provide for easy operation support as well as high displacement properties. Finding wide application scope, these systems find suitability for displacing of petrol, diesel oil and other liquids. 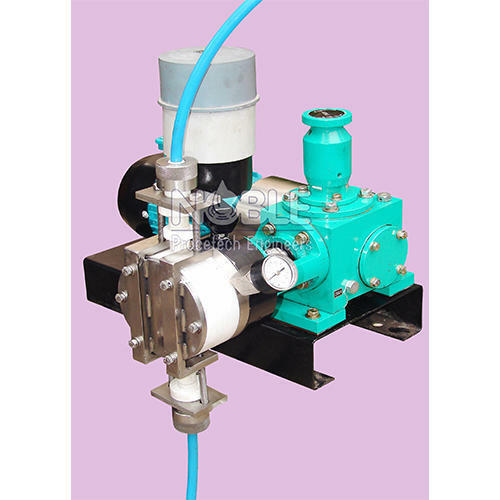 Some of its features include can handle temperatures from -20°c to +80°c, find use as load and unload oil pump, suitable for conveying of oil in land oil depot, can be customized as per OEM specifications among others. We manufacture and supply "Double Diaphragm Dosing Pumps". 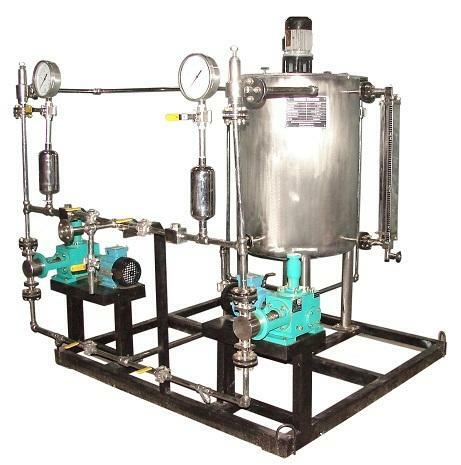 This is the compact system which is usually used for petroleum, chemical and further process. This is used for lab and production purpose. The flameproof motors and control panels are available with this unit. The control panel is having facility to control RPM control, timer, emergency stop. the system is capable to make process reaction more than two at a time to reduce the time of production and cost. The process requirements are taken care of in all respects in auto mode. 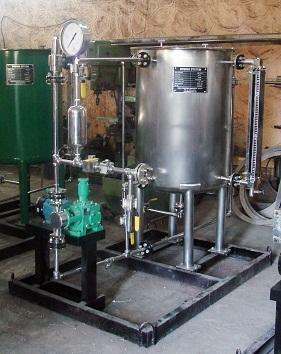 It is customized and used for process of 5 ltrs batch up to 3000 ltrs batch for more than two reactions. the MOC- PTFE, SS 304, SS 316, SS 316 L & Hastelloy. The application areas are all petroleum sector and chemical industries. 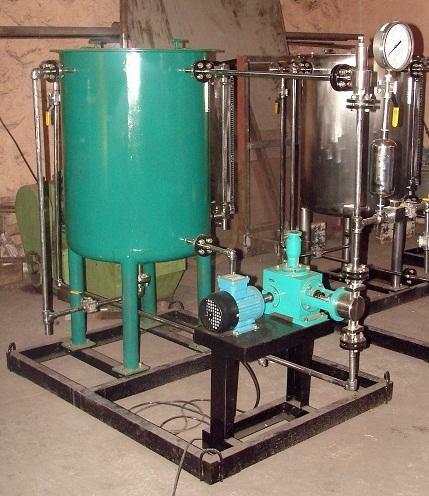 The agitator are used to mix even powder -chemical, chemical- chemicals under required temperature. 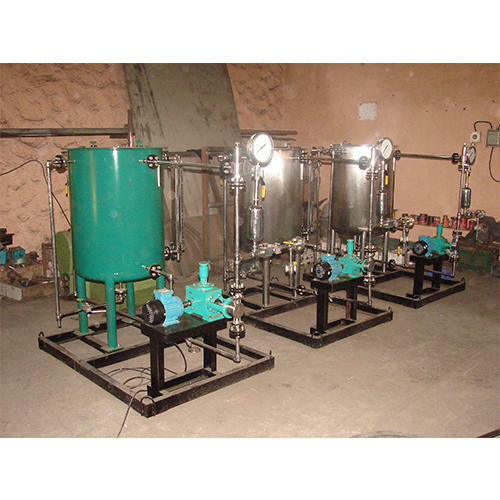 Chemical Dosing Skid offered is designed and developed using advanced technology support and comes with metering pumps, control systems and other process equipment mounted on same platform. Further, it has modular design and can be made available in expanded capacity and function as demanded by the customers. 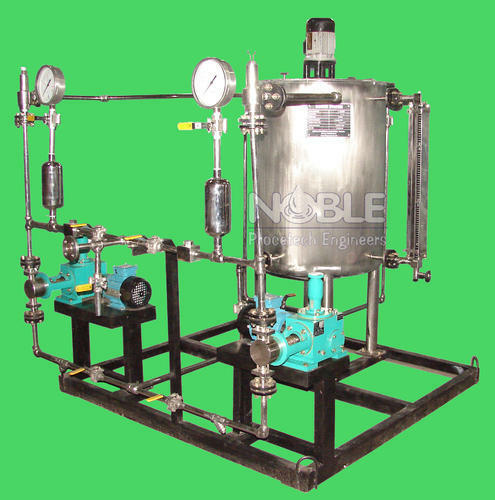 Some of its features include available with variety of control methods, come with twin compartment support for handling batch mixing & dosing operations, level switch signal for controlling valve and allow water flow, comes with component support like transfer pump, level gauge, level switch, screw feeder, control valve, control panel, motorized agitator and others. IT IS A TYPE OF DOSING SYSTEM, DOSING UNIT ETC. Dosing System offered provides for automatic operation support and feature presence of tested components so as to offer dependable performance. Further, these systems are also easy to maintain and are suitable for use in processes aiding condensation of industry sewage. Some of its features include allows for complete convenience for disposal and deposit of sludge, allows even dissolving of all powder polymer, can be provided in accordance to customer’s process specifications, unit suitable for continuous operations, coming with water level sensors for automatic control, dosing screw conveyor driven by electromotor with support of gear unit for accurate operations among others. 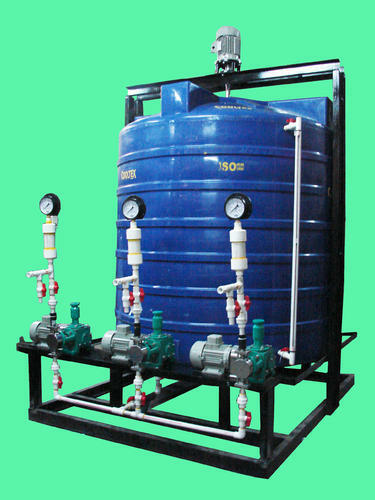 Dosing system is designed as per the requirement of process. 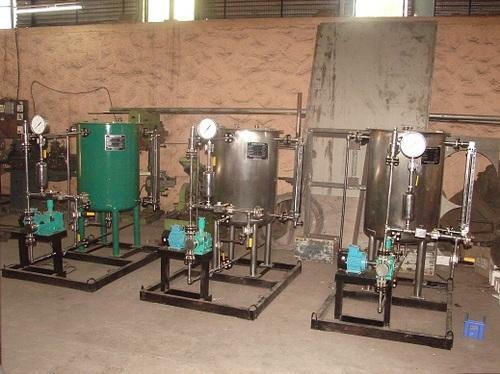 It consist of dosing tanks, dosing pumps, agitator assembly, level gauge, leven indicator, pressure gauge, pressure relief valve, strainer, dampener, ball valves, sampling valves and control panel. This is available in automatic OR semi automatic manual version depending on the requirement. All equipments are manufacture in MOC- SS 304, SS 316, SS 316L, PTFE, PTFE Coated, PVC, PVC Coated, Rubber Lined, Hastelloy C. We supplied in power plants, Water treatment , paper & Pulp industries. We also supplied with high pressure for boiler operation.